Volunteers are needed to help provide for guests in our building: set-up, clean-up, greet on Sunday, cook an evening meal, cook a hot breakfast on Saturday, provide evening hospitality, host overnight and do laundry. Families Moving Forward (FMF) is a program of Beacon Interfaith Housing Collaborative. 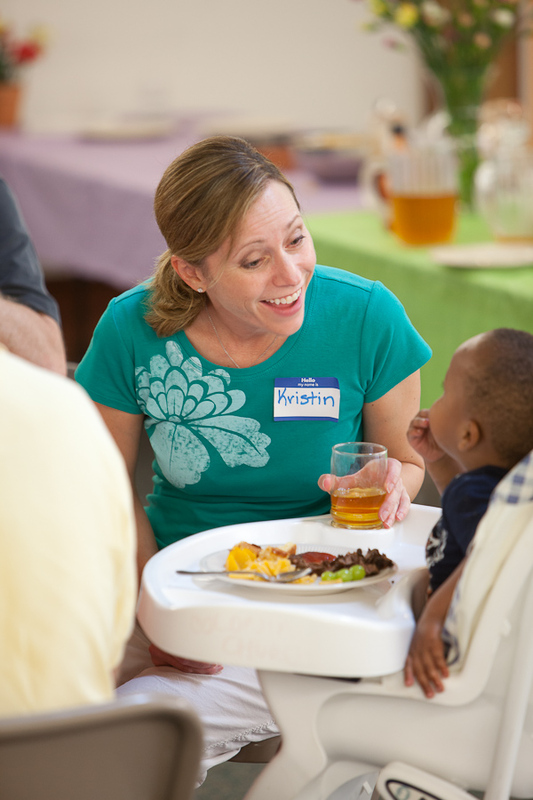 FMF provides services to families during the day and a network of Twin Cities churches hosts the families in their buildings at night. The families are tightly screened before they are accepted into the program and only 14 people are accepted at a time. Each evening they are transported by FMF to the church. We provide an evening meal, hospitality, a “bedroom” for each family, and breakfast each day during the week. Families are bused by FMF back to the day shelter each morning where they are able to shower and work with FMF staff to get the pieces of their lives back in order. Families Moving Forward is aligned with Immanuel’s vision: Called to care. Sent to serve. More information about Families Moving Forward. 7 p.m. with Holy Communion and music by Servant Song. As faithful friends, we sit quietly in the Sanctuary, contemplating his great compassion and love for us. We might pray silently, read scripture or meditate at the prayer stations provided. Sign up for a 30-minute time slot. As Jesus prayed in the garden called Gethsemane shortly before his arrest, he asked his disciples to keep vigil with him, to stay awake and support him in his hour of need. True to our fallible nature, Peter, James and John were asleep in no time. In the centuries since, Christian disciples around the world have marked this night by staying awake, watching and praying with Jesus in the hours leading up to his crucifixion and death. Before leaving Immanuel pause/linger at the campfire outside the sanctuary.